If you don’t have Instagram, download the app onto your mobile device (phone or tablet) and create an account. Unfamiliar with Instagram? Take a quick look at this Instagram Wiki for an overview. As you now know, Bill Cunningham was a magnificent storyteller through his photographs. This week you will be taking over your own IG (Instagram) feed to tell the story of what fashions, trends, and style you are seeing on the streets where you live. Take and curate a minimum of 9 original photos of fashions you are seeing on the street over the next week and curate into a story. If you will be showing the faces of people, please get their permission, and when possible, tag them in the photo description. We will be sticking with photograph this week and will not be using video posts within your IG Nine. Post these photos on Instagram. What is the story you are visually telling? Do they tell that story? Keep in mind how color, photo order/placement will affect your story. Be sure to add descriptions to your photos. Take a screenshot of your 9 IG photos telling their story and post on the Padlet below along with a description of the story your photos tell you. Comment on at least two classmate’s collections, telling them what you see in their IG 9 story. Do you see something different than they saw? 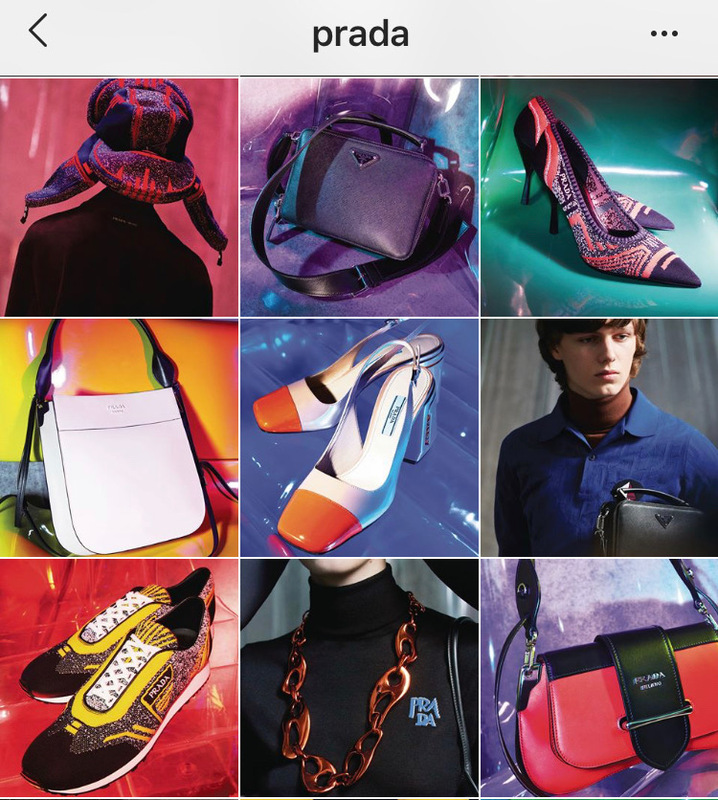 The IG Nine at the top of the page, from Prada’s IG account, tells a beautiful story. Notice how the colors work well together and it really tells a story. Now take a good look at Vogue Magazine’s IG Nine below. What story does it tell? 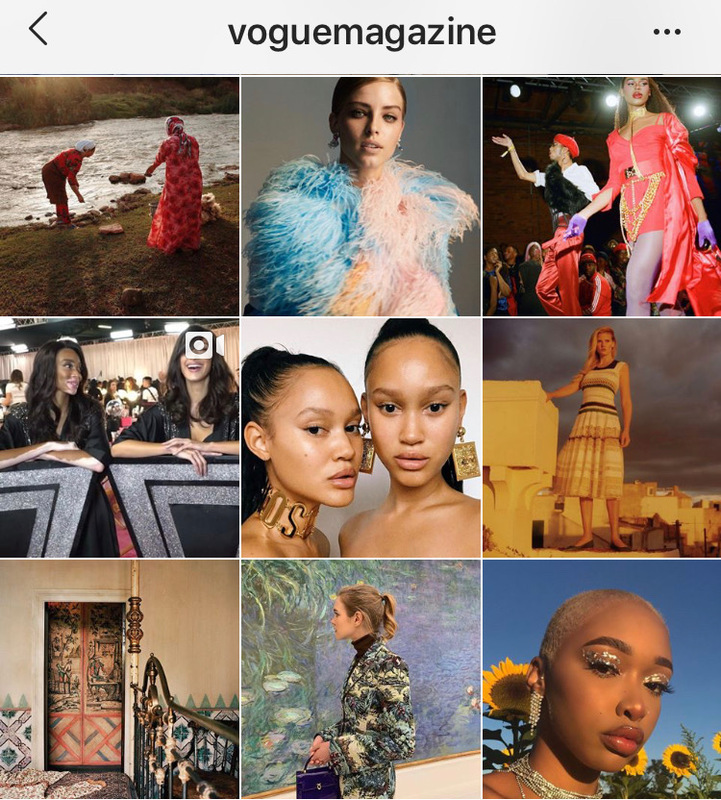 Nine photos from Vogue Magazine’s IG feed.